Where ever you are in the world . . . Suitable for ALL experience levels! and can happily say, girls you’re right! Pam is a great educator . . . and the course content is perfect! Award-winning tutors, small groups and lots of hands on practice make for an amazing learning experience. With a wide selection of bridal hair courses available around the UK and online we’ve got something for everyone! 0% Credit available on all courses Discounted Insurance available. I walked in a beginner and now I can do any style I’m asked to do! Honestly, I had no experience in hair styling before I found this course. There is so much to learn including many different styles. I gained a lot of knowledge, new skills and confidence. Pam is amazing, lovely, friendly and very helpful. It was the most fun I’ve had learning a new skill! Pam is the best teacher – clear with a lovely friendly manner and very genuine.
. . . the course made me feel really confident! I really enjoyed the online course! The tutorials were really easy to follow & very well explained. Brilliant course & definitely worth doing! 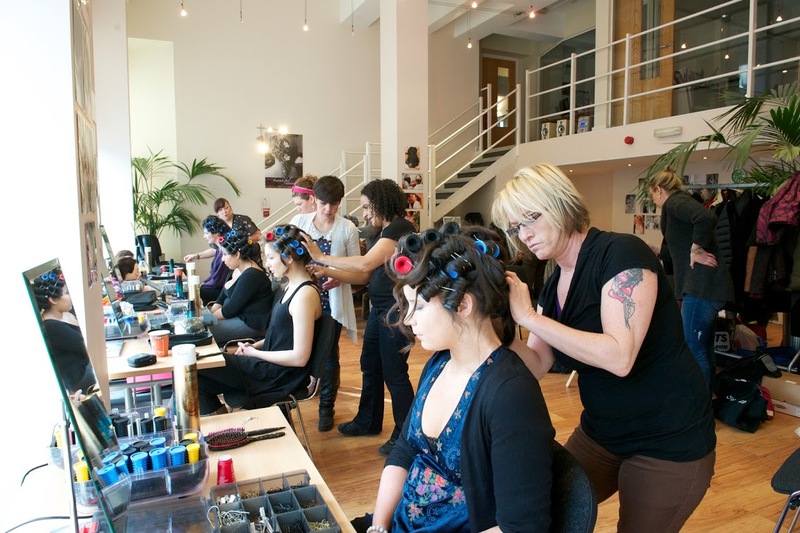 If you are thinking of doing a hair up course, I would absolutely recommend CBH. The course gives you the core essentials to create beautiful hair that wont fall down! The 2 day hair course was a really enjoyable! A great vibe from Pam & her team & very positive throughout. I had so much fun & learned lots & lots! Start creating bridal styles worldwide! Create amazing plaits & braids. Create fabulous volume & oomph! Create beautiful bridal makeup that lasts.